Sept 11 Art / 911 Art: What the #@*% was that? What the #@*% was that? Shop / September 11 Art / What the #@*% was that? 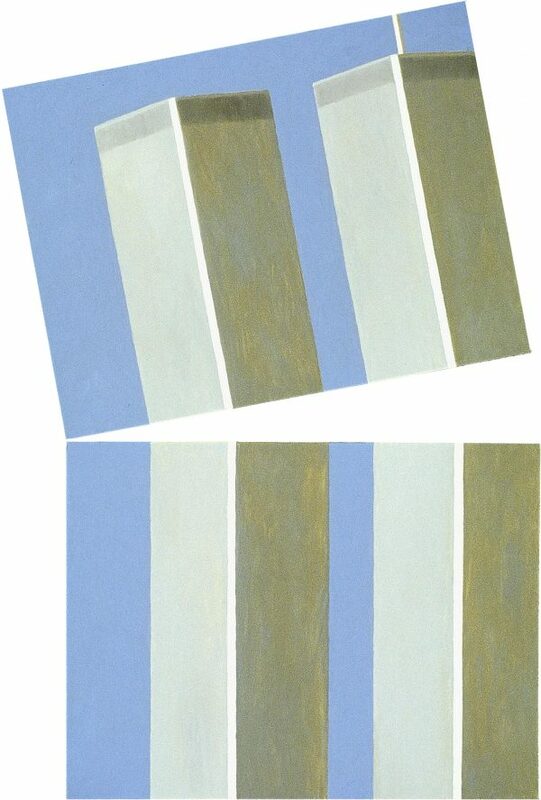 George Mullen, Sept 11 Art / 911 Art: “What the #@*% was that?” (2 of 5), 2002, 18″ x 24″ each, oil on canvas. Copyright © 2002 George Mullen. All Rights Reserved. Mullen worked and spent a great deal of time in the World Trade Center in New York City in the 1980’s and 1990’s, his employer at the time being headquartered there. As such, September 11 prompted a large body of art work from him. Mullen’s “American Scream” painting first appeared in ARTnews magazine in 2002. Copyright © 1990 - 2019 StudioRevolution / George Mullen. All rights reserved. City of Life® is a registered trademark.